Occlusion: Too much, yes! But more important they thought about how light works. More or less. And even if the effect is a bit too strong, i really like that the corners of the walls are darkened. I’m not sure how they did this, because the occlusion shadow looks very straight. Maybe a light map? But maybe they used vertex color? I have no idea. Oh and don’t forget to read this small comment about exactly this issue. 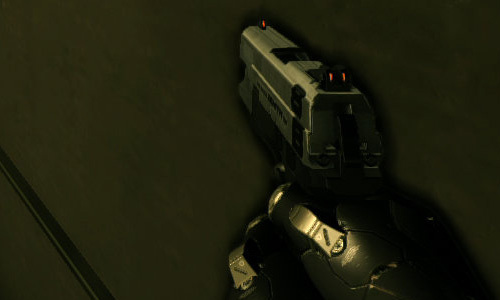 This entry was posted in Game Art Tricks and tagged Deus Ex, Occlusion on 21. January 2013 by Simon. 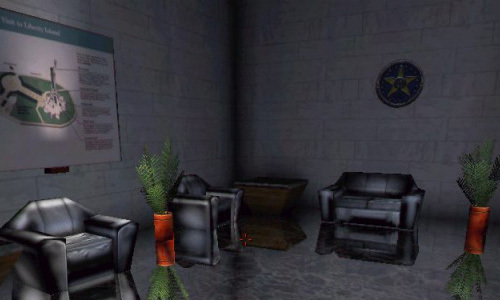 Actually that outline was a bug in Unreal Engine 1’s lightmapper (my own lightmapper had the same issue), most likely because it considered anything “outside” the polygon as black and later when it blurred the lightmap to avoid the hard edges of shadows, this blackness was spread to the visible parts of the lightmap. Or at least that was what happened with my lightmapper, but Unreal 1’s seems to have the same behavior (you can’t get rid of those borders without hacks).